The Australian Magpie is black and white, but the plumage pattern varies across its range. Its nape, upper tail and shoulder are white in males, grey in females. Across most of Australia, the remainder of the body is black. In the south-east, centre, extreme south-west and Tasmania, the back and rump are entirely white. The eye of adult birds is chestnut brown. 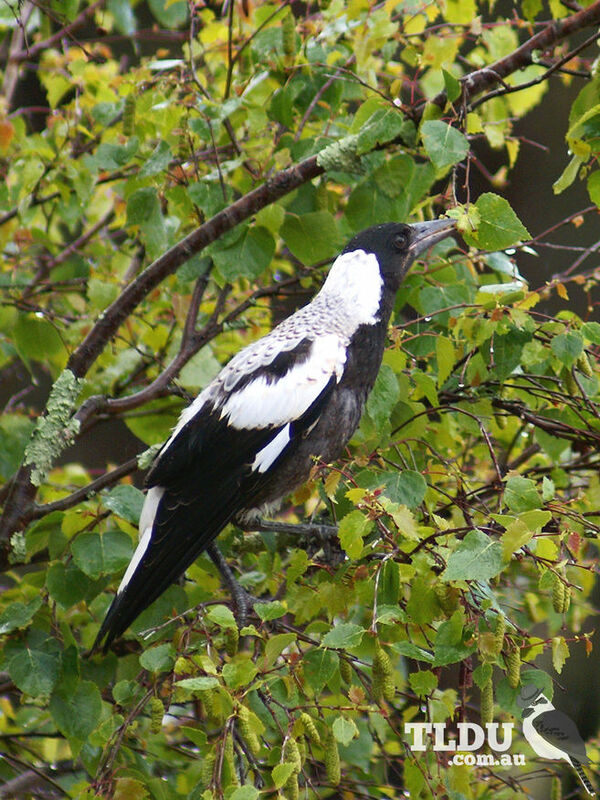 The Pied Butcherbird, can be distinguished from the Australian Magpie by its black head and bib separated from the black back by a complete white collar, and white underparts. It is also a smaller species. The Australian Magpie is larger and has a heavier bill than the similarly coloured Magpie-lark. Australian Magpies are common and conspicuous birds. Groups of up to 24 birds live year round in territories that are actively defended by all group members. The group depends on this territory for its feeding, roosting and nesting requirements. The Australian Magpie walks along the ground searching for insects and their larvae. Birds will also take handouts from humans and will often venture into open houses to beg for food. The Australian Magpie has one of the world's most complex bird songs. 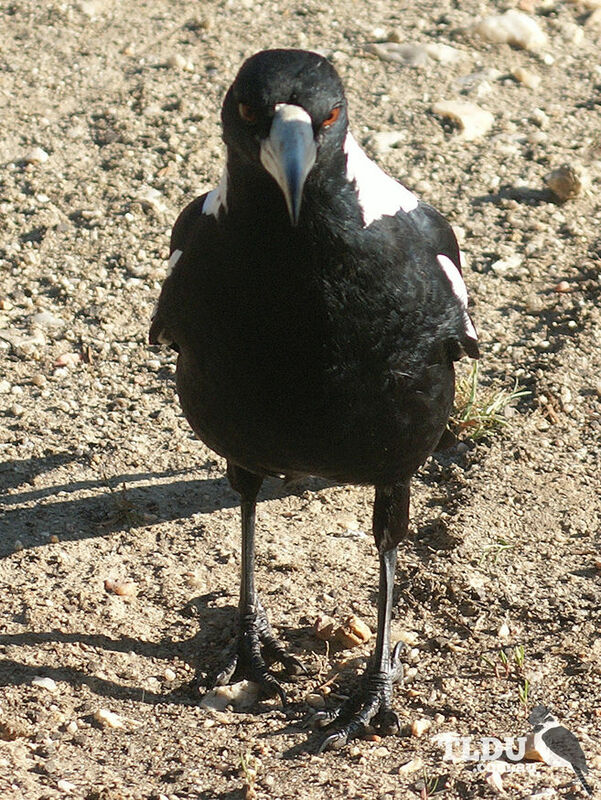 Although the Australian Magpie is generally quite tame, during the breeding season some individuals become aggressive towards any intruders, including humans, which venture too close to their nest sites. The nest is a platform of sticks and twigs (occasionally wire), with a small interior bowl lined with grass and hair. The nest is constructed in the outer branches of a tree, up to 15 m above the ground.